Amazon Prime Members! 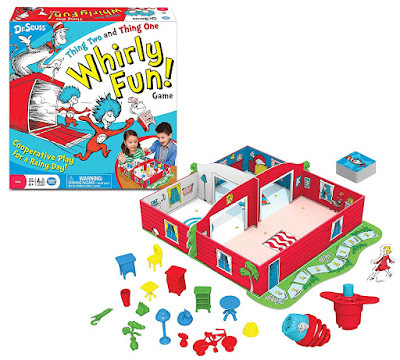 HURRY over to get this Dr. Seuss Thing Two Thing One Whirly Fun Game for ONLY $7.88 (Retail $16.99)! With Mother out of the house for the day, The Cat in the Hat has brought Thing One and Thing Two to play! Oh, but these Things run about with bumps, thumps, and kicks! Work together to clean up their mess before Mother comes home. It's cooperative fun for everyone!